I'm in my sixth year of graduate study as a PhD candidate in Peking University. I've been a member of PKU Visualization and Visual Analytics Group since Nov.21, 2012. Currently, My research focuses on scientific visualization, including large-scale flow visualization and high performance visualization. For more details, please see my curriculum vitae in English or 中文. 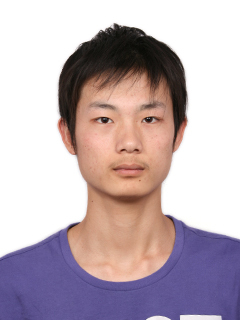 2013.09 - present: PhD student, in Computer Science, Key Laboratory of Machine Perception (Ministry of Education), and School of EECS, Peking University. I joined PKU Visualization and Visual Analytics Group in Nov, 2012. Dynamic Load Balancing Based on Constrained K-D Tree Decomposition for Parallel Particle Tracing. IEEE Transactions on Visualization and Computer Graphics (SciVis '17), 24(1):954-963, 2018. A Survey of Parallel Particle Tracing Algorithms in Flow Visualization. Journal of Visualization, 21(3):351–368, 2018. Advection-Based Sparse Data Management for Visualizing Unsteady Flow. IEEE Transactions on Visualization and Computer Graphics (SciVis '14), 20(12):2555-2564, 2014. Dynamic Data Repartitioning for Load-Balanced Parallel Particle Tracing. In Proceedings of IEEE Pacific Visualization Symposium (PacificVis 2018), pages 86-95, Kobe, Japan, Apr. 10-13, 2018. Access Pattern Learning with Long Short-Term Memory for Parallel Particle Tracing. In Proceedings of IEEE Pacific Visualization Symposium (PacificVis 2018), pages 76-85, Kobe, Japan, Apr. 10-13, 2018. Efficient Unsteady Flow Visualization with High-Order Access Dependencies. In Proceedings of IEEE Pacific Visualization Symposium (PacificVis 2016), pages 80-87, Taipei, Apr. 19-22, 2016. Comparative Visualization of Vector Field Ensembles Based on Longest Common Subsequence. In Proceedings of IEEE Pacific Visualization Symposium (PacificVis 2016), pages 96-103, Taipei, Apr. 19-22, 2016. Scalable Lagrangian-based Attribute Space Projection for Multivariate Unsteady Flow Data. In Proceedings of IEEE Pacific Visualization Symposium (PacificVis 2014), pages 33-40, Yokohama, Japan, Mar. 4-7, 2014. Dynamic Load Balancing Based on Constrained K-D Tree Decomposition for Parallel Particle Tracing. IEEE Pacific Visualization Symposium 2017 (Poster), Seoul, Korea, Apr. 18-21, 2017. An Integrated Visualization System for Multi-Source Carbon Concentration Datasets. IEEE Pacific Visualization Symposium 2016 (Poster), Taipei, Apr. 19-22, 2016. High Performance Flow Field Visualization with High-Order Access Dependencies. IEEE VIS 2015 (Poster), Chicago, Illinois, USA, October 25-30, 2015. Longest Common Subsequence Based Multi-Scale Analysis for Ensemble Data. IEEE Pacific Visualization Symposium 2015 (Poster), Hangzhou, China, April 14-17, 2015. Jiang Zhang, Hanqi Guo, and Xiaoru Yuan. Performing dynamic data repartitioning for load balancing during the run time. Using constrained k-d tree decomposition for dynamic particle redistribution. A novel high-order access dependencies based model in unsteady flow visualization for efficient pathline computation. A novel advection-based scheme to manage flow field data for both efficiency and scalability. An approach to couple Lagrangian-based attribute space with projection techniques to study unsteady flow with the assistance of parallel computing. An implementation of volume rendering based on a MapReduce-like framework called DStep. IEEE Scientific Visualization (SciVis) Conference, 2016, 2017. IEEE Pacific Visualization Symposium (PacificVis), 2016, 2017. 1st Conference of China Visual Analytics (ChinaVA), Beijing, China, 2014.